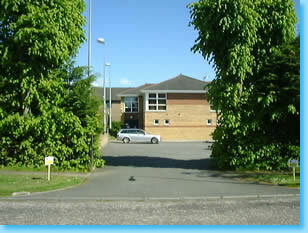 Helensburgh Lawn Tennis Club is located in Suffolk Street in the west end of Helensburgh, 26 miles west of Glasgow. The club is one block up from the seafront, behind the Commodore Hotel, on West Princes Street (the same street as Helensburgh Central Station), and is on a local bus route. The entrance is on Suffolk Street. Helensburgh is within easy reach of Glasgow via a train service every half hour from Glasgow Queen Street Station (low level). The club is five blocks to the west of the station, as shown in the linked map.